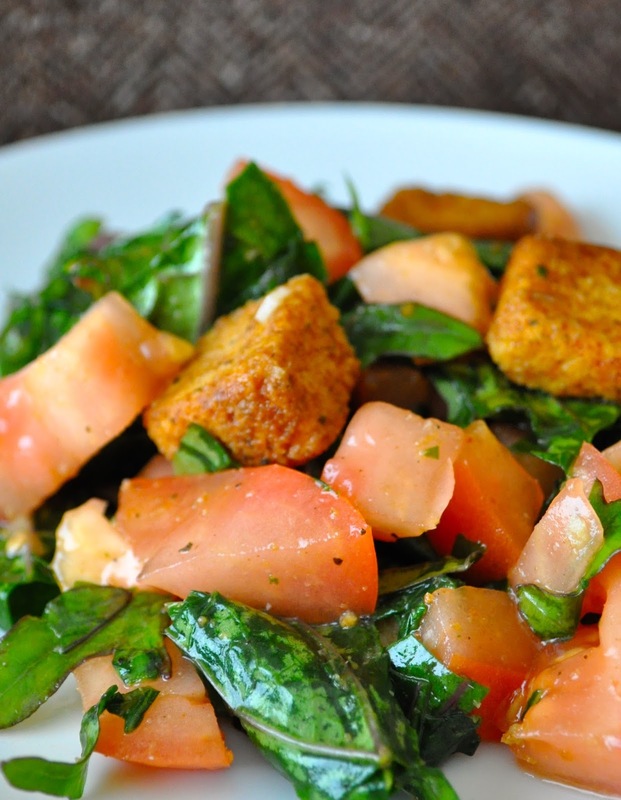 Looking for a great way to use up your supply of abundant summer vegetables? 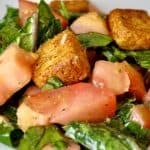 This Kale Tomato Bruschetta Salad uses tomatoes, kale, basil, garlic and onions, it can really help you clean out the fridge! 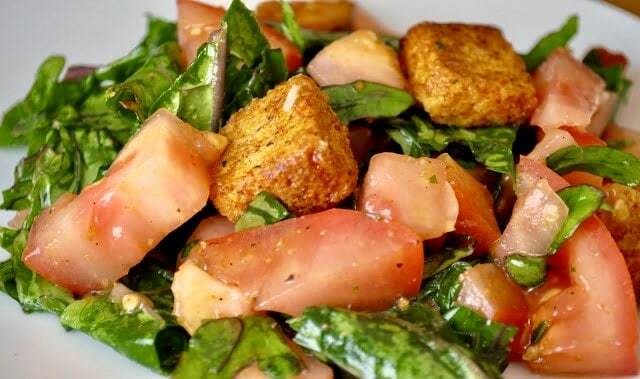 It comes together in less than 10 minutes too, just toss in croutons 5 minutes before serving and this salad is done. Heather at Real the Kitchen and Beyond inspired me to make this recipe after reading her post for making Easy Bruschetta on the road. I looked around and thought “well yep I can do that, but can I make it a salad?” Sure thing! I just added a little fresh kale, some croutons and I came up with a salad our whole family enjoyed. I think you’ll enjoy it too.